OUT ON 29/03/19 EXCL. ON >> Beatport: http://bit.ly/3000GRAD066-BEATPORT @felix-r-68900692 | @paul-hazendonk | @yannekmaunz | @brid-snyder These tracks enter your consciousness like shooting stars in the fragrant darkness of a warm night in spring. 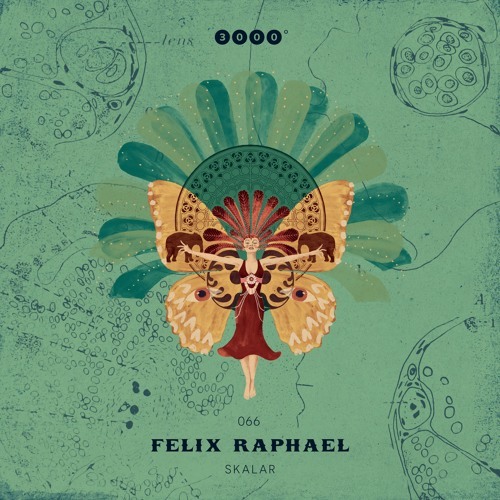 Felix Raphael's bass lines are as deep as the sea, and the bounce of his rhythms hits the sweet spot. While the dancing body is hypnotized by these elements, the mind follows the organic pattern of his free-floating melodic arrangements. When the vocal sets in, it merges into the tune as if it was an echo from the parallel world of a dream. Many new names in the 3000Grad context make the Skalar EP a very fresh and versatile affair: Paul Hazendonk provides a remix full of harmonic ecstasy, Yannek Maunz a dose of spaced-out trippiness, and Brid & Snyder hurl us straight into the bubbling vortex of their melodic groove.